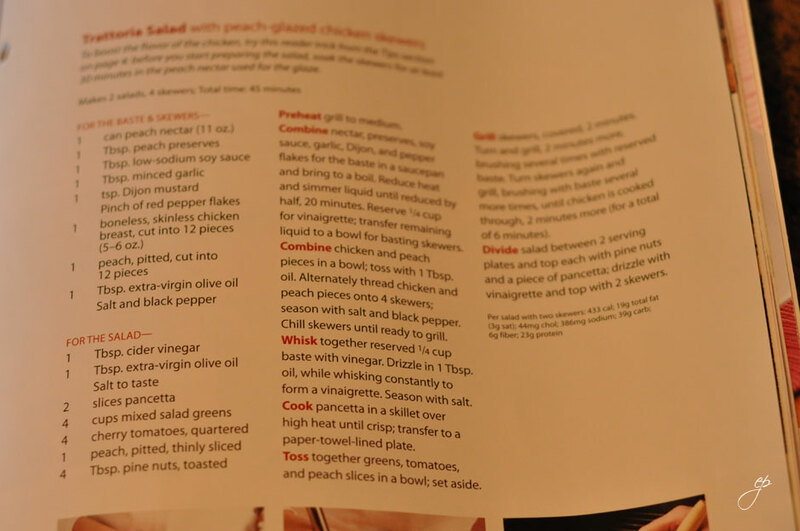 this is a most delicious dish from Cuisine at Home… seriously ya’ll. 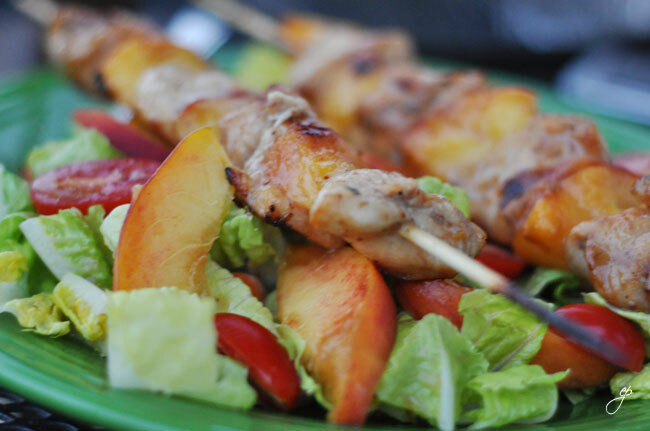 If you like peaches, and you like grills…you will LOVE this-even if you hate salad! Ok, you might need to like that too but for the most part, this is an amazing meal. Enough of the raving…leave a comment below if you want the full recipe….assuming you can’t blur your eyes enough to get it from the first pic. 😉 I’m happy to share it! first: read your instructions. Don’t forget to soak your skewers if they’re wooden. Soak them in juice…you won’t regret it! 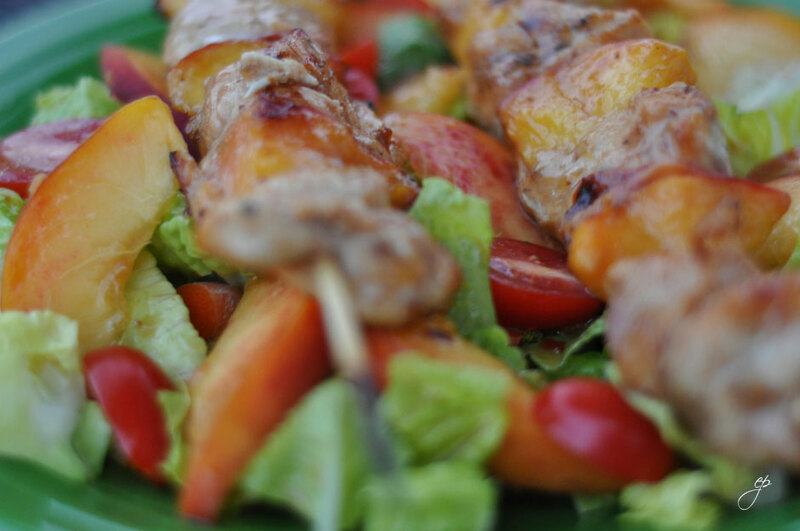 third: put together your kabobs. finally: assemble your salad and eat! YUMMMMMY!!! omg yummmmmm that looks delish. 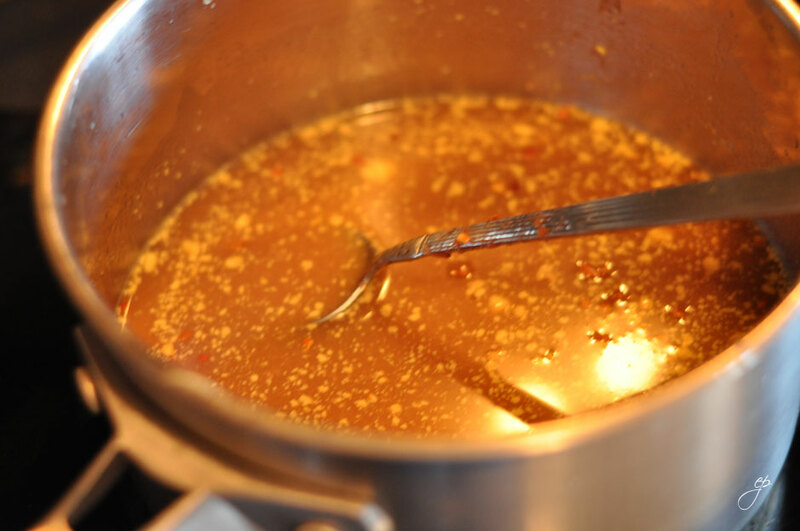 looks better than the photo…..
Full recipe please!! 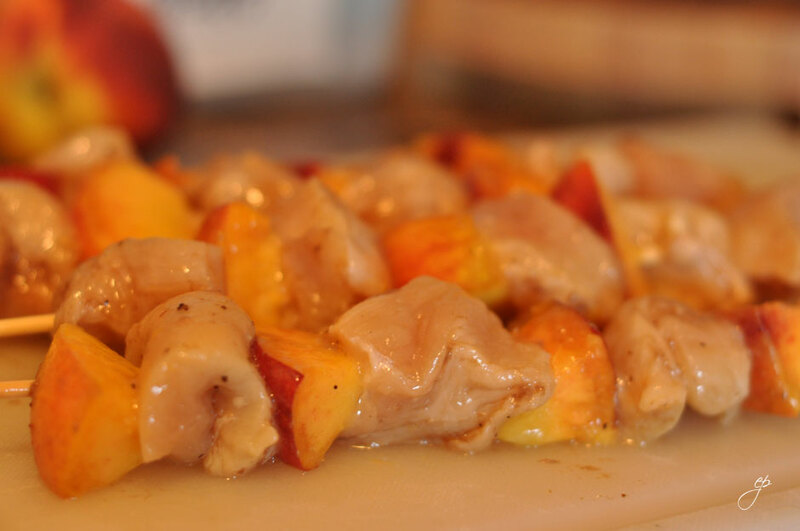 I l-o-v-e grilled peaches. Plus, I’m gonna go to SC peach orchard next wk!!! !